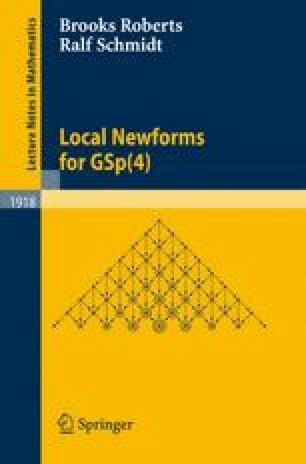 The local theory of new- and oldforms for representations of GL(2) is a tool for studying automorphic forms on GL(2) and their applications. This theory singles out, in infinite-dimensional representations, certain vectors which encode information. Thus, this theory lies at the intersection of representation theory, modular forms theory, and applications to number theory. See the work of Casselman [Ca2]; for more information and references, see [Sch1]. The paper [JPSS] generalized some aspects of the theory for GL(2) to GL(n) for generic representations.